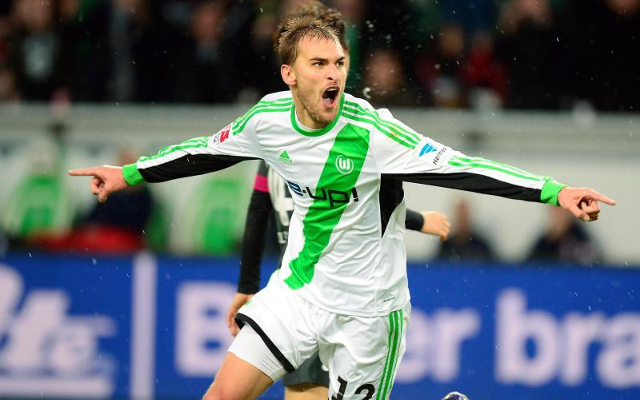 Wolfsburg do not want to sell Netherlands intentional striker Bas Dost this summer despite interest from Southampton and Turkish champions Besiktas. Southampton have been linked with a move for the Dost according the ESPN and Besiktas have been closely linked with the powerful striker in the Turkish press. Stars & Friend – Dost’s management company – agent Mihat Halis has revealed to Emre Sarigul that Wolfsburg want to keep hold of Dost despite interest from abroad. “Wolfsburg do not want to sell, there is interest but they are in a strong financial position and want to keep him,” Halis said. The Bundesliga outfit are in a strong financial position and under no pressure to sell. The club will not consider offers unless his valuation is met and would still be unlikely to part ways with the 27-year-old over the summer. Southampton are currently in the market for a replacement for Graziano Pelle who moved to China. Besiktas meanwhile are considering their options as star striker Mario Gomez has yet to confirm whether he will return to the club next season. Gomez was on loan last season but has yet to make a decision on his future. Besiktas’ main priority is to either sign the Germany international on a permanent contract of loan him for another season.